GOALS FOR THE HOLIDAY SEASON. If you ask me, it is wayyyy to easy to get wrapped up in the presents and perfection that we all strive for during the holiday season (no pun intended). I know for a fact that get consumed by the consumerism and materialism that comes with holidays. And don't even get me started on the present shopping I spend a lot of time planning and thinking of the perfect present to get my loved ones. I want them to be somewhat surprised by what I got while also thoroughly enjoying what I bought them. I focus too much of my energy trying to make Christmas and the holiday season perfect. But I need to remember and focus on the fact that that's not what the holiday season is for. It's to be present, to enjoy the moment, and to really savor and remember the REAL reason why we celebrate the holidays. For family, for faith, for friends, and for food (haha). So after seeing this prompt from Kenzie's blog post ideas for November, I decided to write some goals for this holiday season. Little goals that I hope to really focus on and remember as Christmas quickly approaches. And for me, the sooner I get on them, the better. 1. Savor each moment. The holiday season is so much longer than the 30 minutes or so that we spend opening presents on Christmas morning. I want to enjoy each day that leads up to Christmas, not just count down the days until then. 2. Practice gratitude. Thanksgiving is a day to remember all that we're grateful for (or should be grateful for). And as a young adult with a family, education, and job, I know that I have more things that I take for granted than I count as blessings. 3. Love. With holidays, come stress. And with stress, comes short tempers, especially with those I love most (aka my family). I want my fuse to be longer and I want to love on them, even if it is hard. 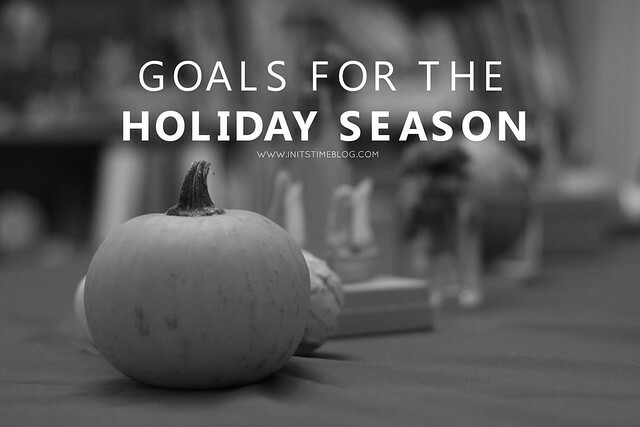 Do you have goals for the holiday season? Great points. To enjoy the holidays and remember what I am rejoicing in. Not the presents but Christ. YES! I love this so much.... one of my biggest goals for my future life as a mom is to teach our children that Christmas isn't about making a list of wants. I still struggle with thinking about receiving during this time when I should be thinking about giving! ooo man #2 i need to do more of that. great list kiki...really makes us stop and remember WHY we celebrate the holidays that we do.! Can I just steal your goals? <3 Your goals are just about perfect! I agree about the gifting! It is easy to get caught up in the wrong spirit. My husband and I have this weird competitive streak when it comes to holiday sales. I don't know where it came from since we generally hate shopping with a passion, but boy, we have to really check ourselves this time of year! 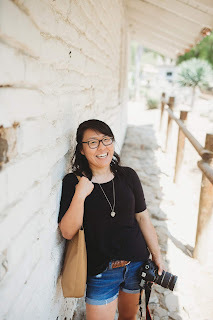 I'm trying to be more intentional about savoring the moment this year, too! Anyway, that's not to say that I don't need that reminder myself. It's so easy to think about the gift-receiving part of Christmas this time of the year. You're definitely not alone! These are great goals! I think I need to practice gratitude more often as well and all the "thankful" posts I've been seeing on Facebook have helped me!